The Adidas rubber dumbbell weighs 5kg (11lbs) and offers an increased disc diameter for more balance and control. This high quality dumbbell is great for working arms, chest, shoulders and upper back. It is fitted with a knurled steel handle for a secure and comfortable grip and features two metal discs dipped in a rubber compound to enhance durability. 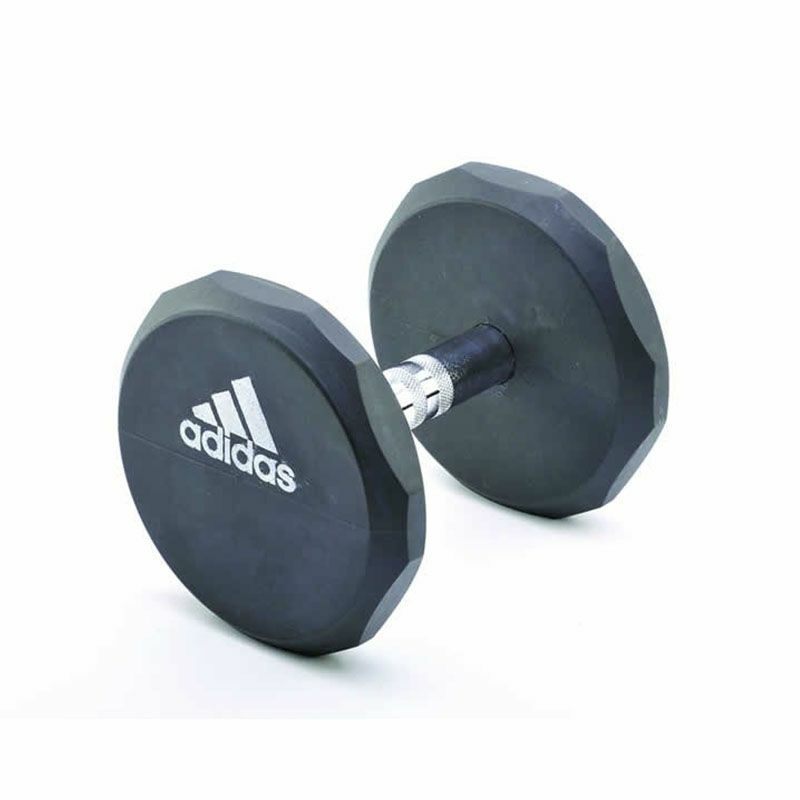 for submitting product review about Adidas 5kg Rubber Dumbbell.